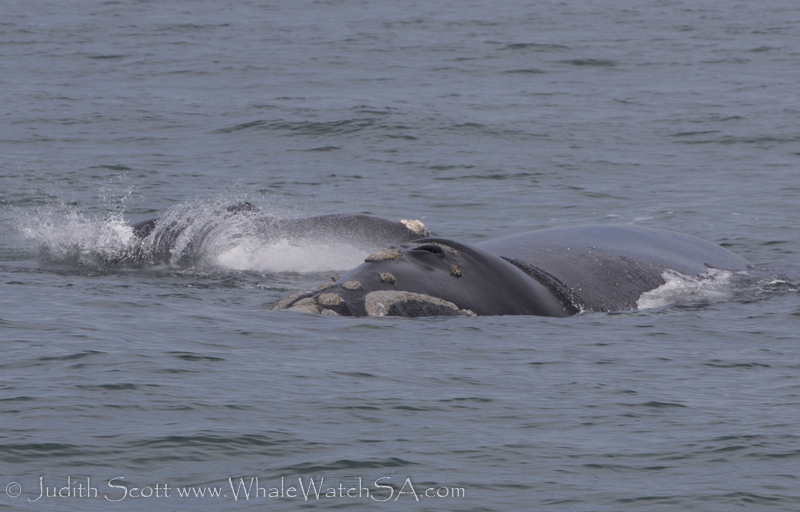 We had two beautifully calm trips out today with the many southern right whales in our bay. 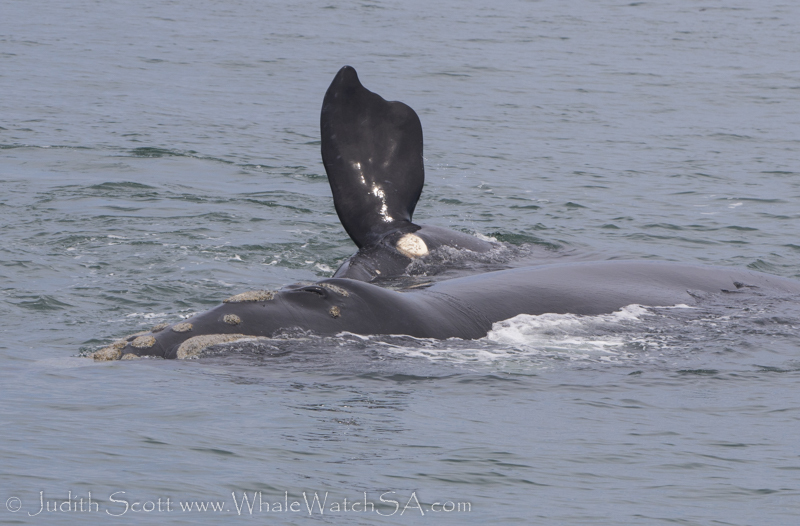 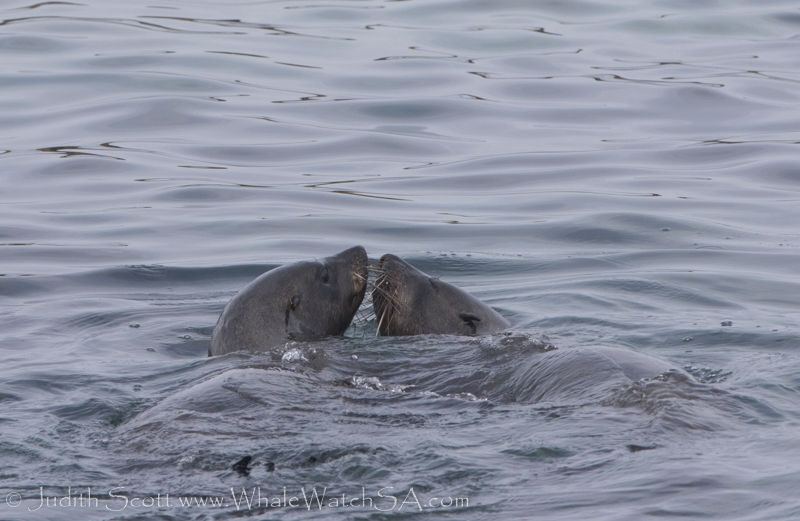 On both tours we spent time with mother and calf pairs as they rolled around and bonded together. 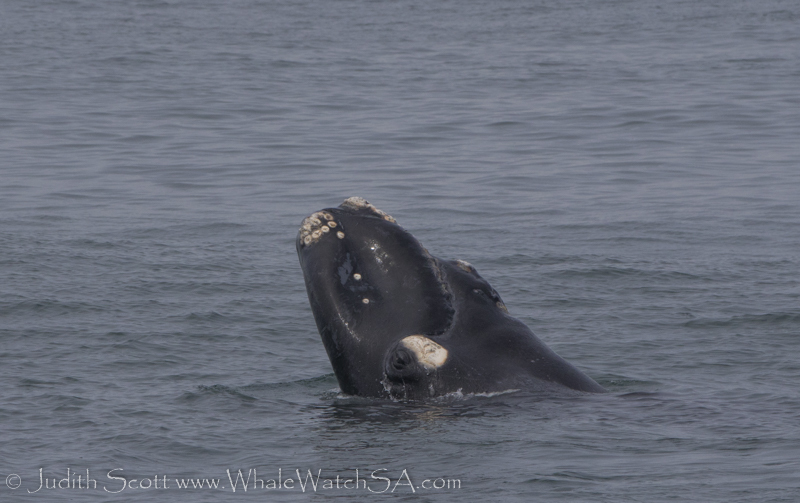 As the calves grow, they get more and more confident as they learn all the behaviours of a southern right whale. 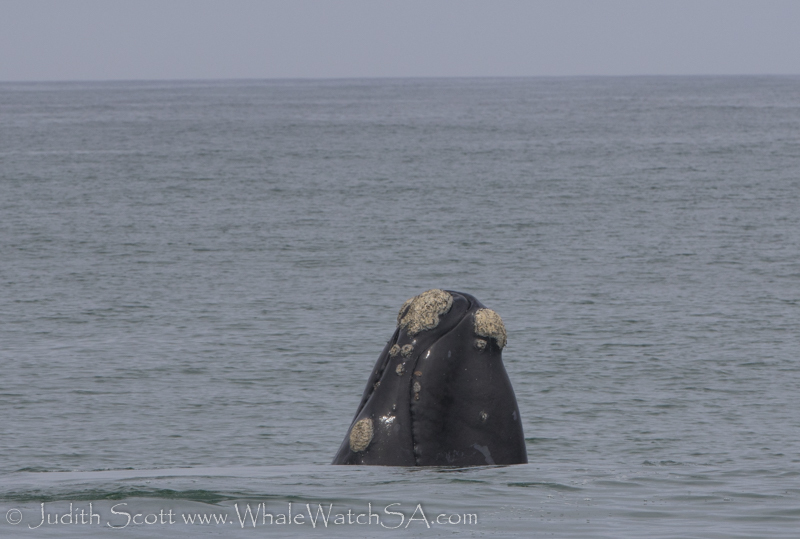 We also had a slightly more unusual sight, a juvenile southern right whale in the bay too. 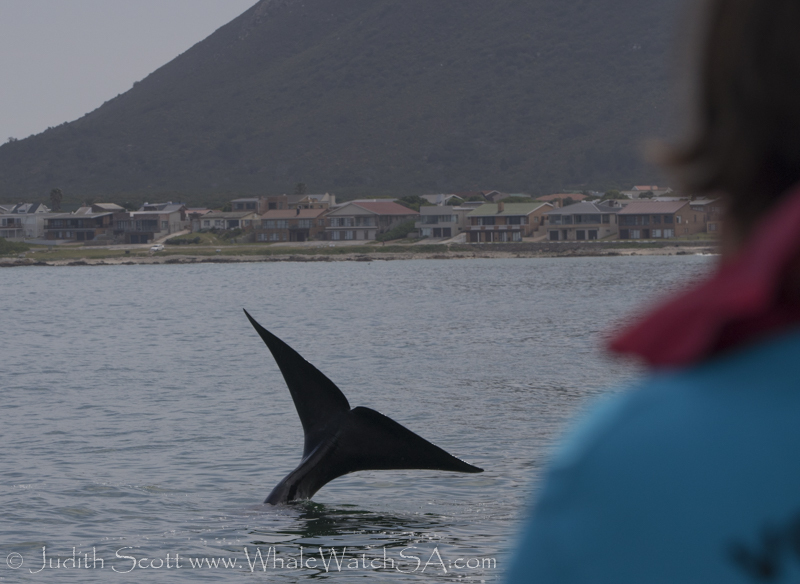 This young whale looks to only be 2-3 years old and maybe wonders why it migrated 2000 kilometres or so to get here when there is no food for it to eat! 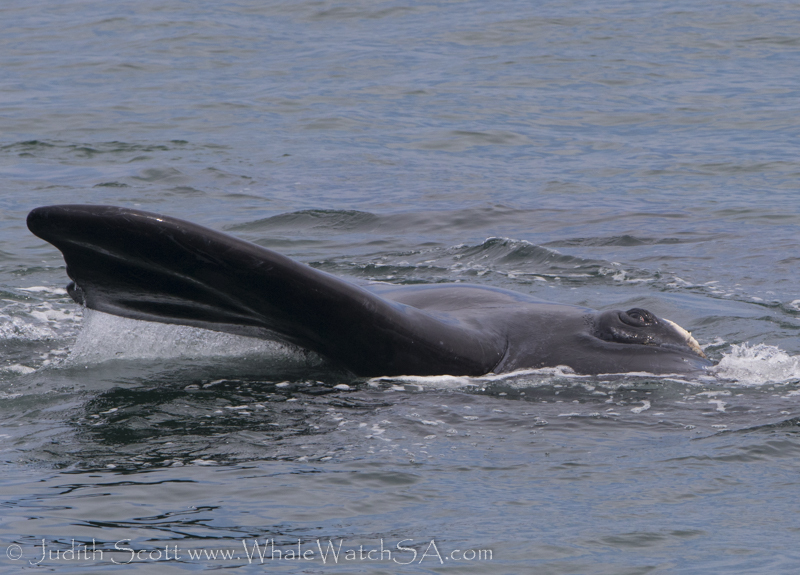 However, it didn’t seem too upset and on the second tour this whale was ‘sailing’ an awesome behaviour when a whale lifts its tail right out of the water and just holds it there. 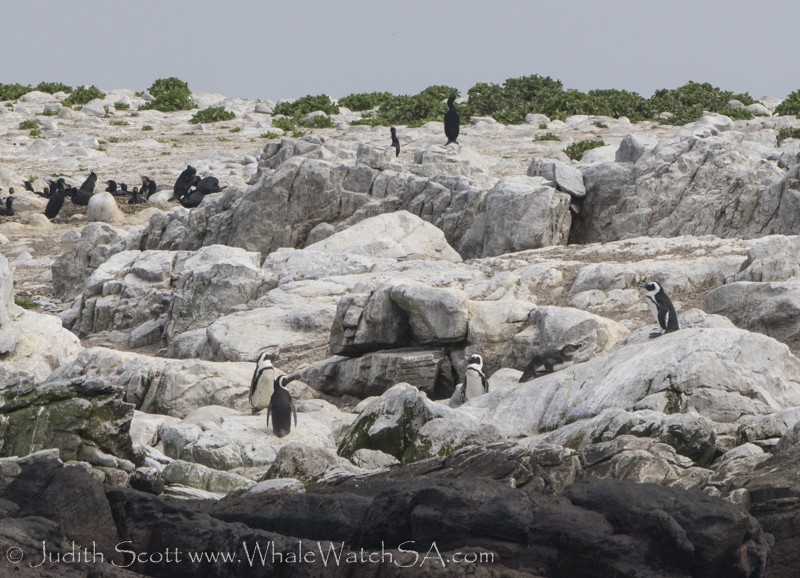 On both tours we got very brief glimpses at bronze whaler sharks, and good looks at our African penguins, which were easier to see on the island than on many tours. 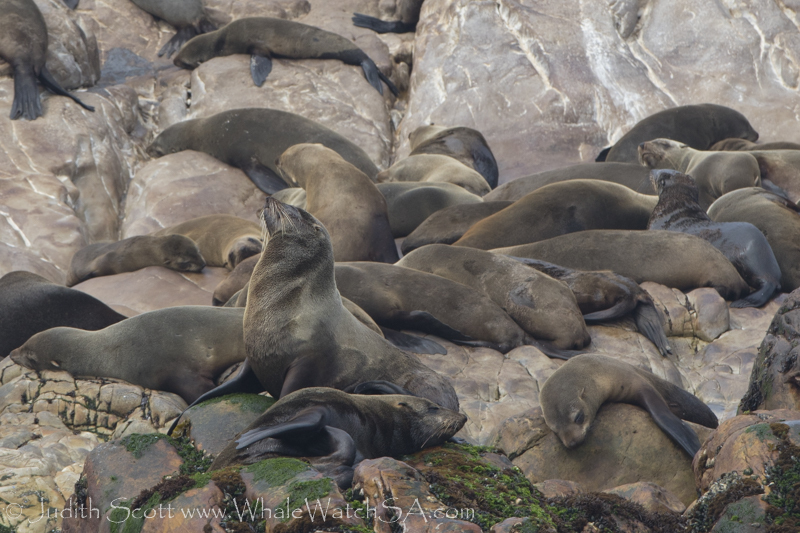 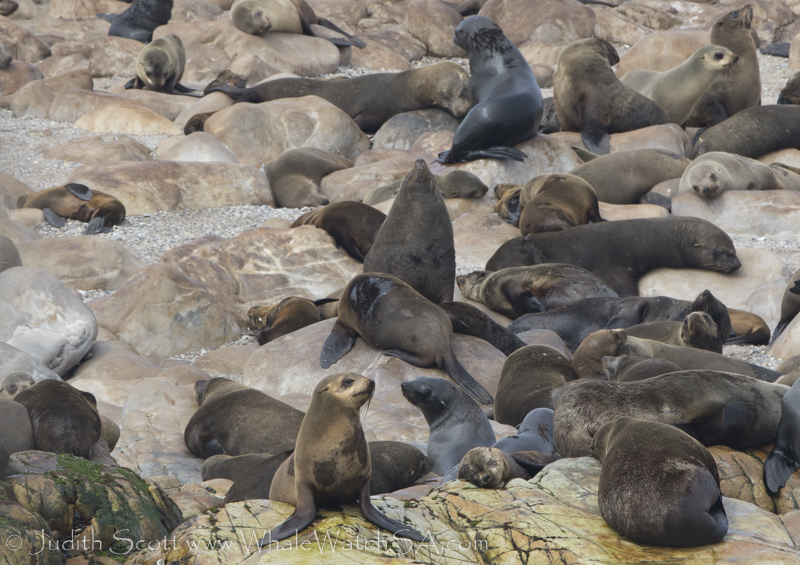 As ever the cape fur seals on geyser rock were the other highlight of our trips. 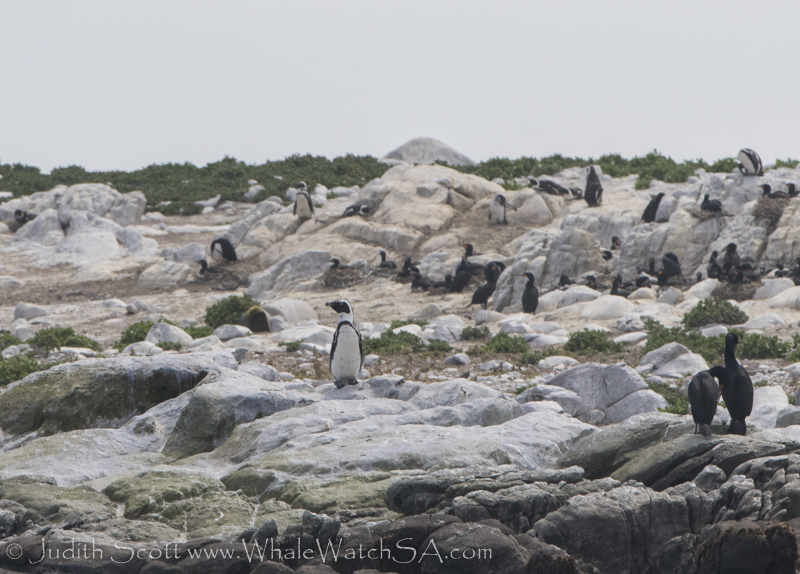 Judith has joined Dyer Island Cruises as a guide for the last couple of whale seasons. 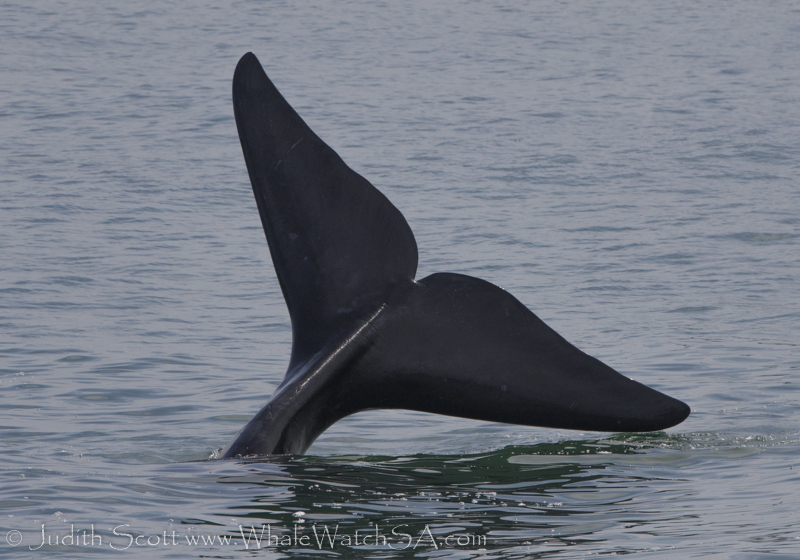 Having worked with whales across the world, she has an incredible breadth of knowledge to share with our guests. 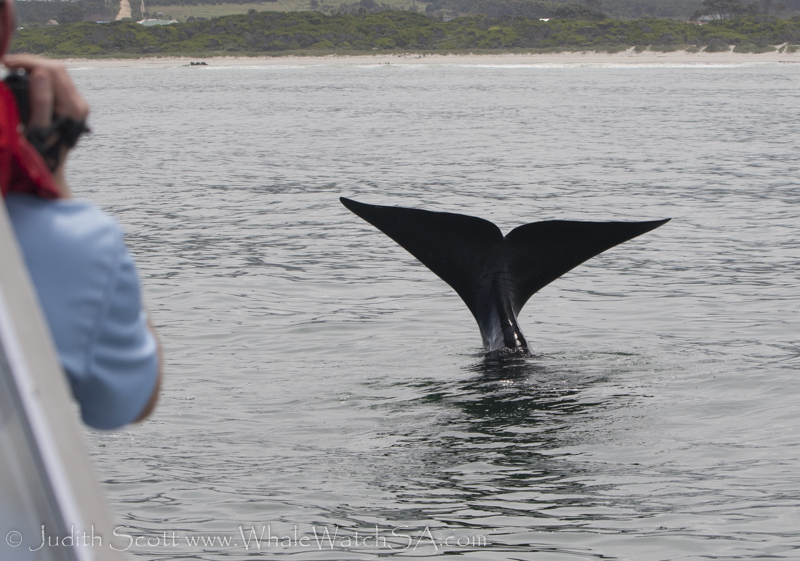 These gentle giants are one of the strongest draws for our visitors, as thousands come back every year to experience the majesty of the Southern Right Whale.